These are not your average fruit and nut bars. No. These apricot bars are a buttery, sweet, tangy, crunchy mouthful of goodness. 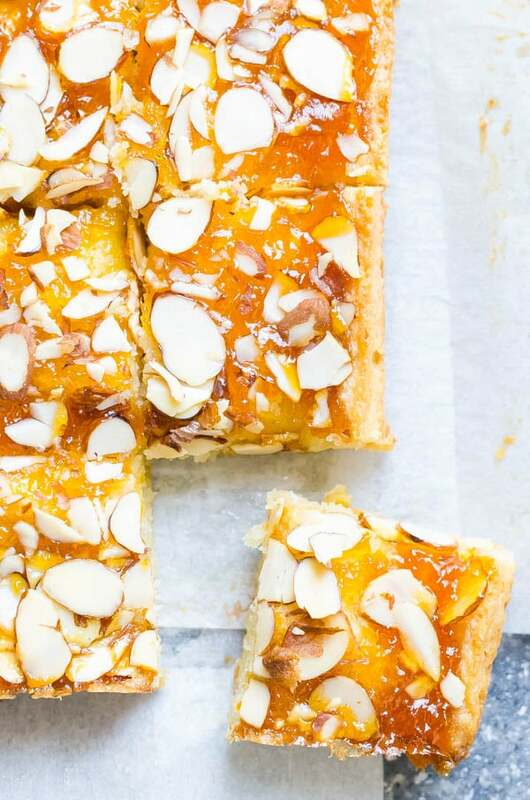 Make apricot almond bars for every picnic, cookout and potluck. They won’t disappoint. These may look like subdued bar cookies. Like some take-it-or-leave-it, so-so dessert. Nothing could be further from the truth. 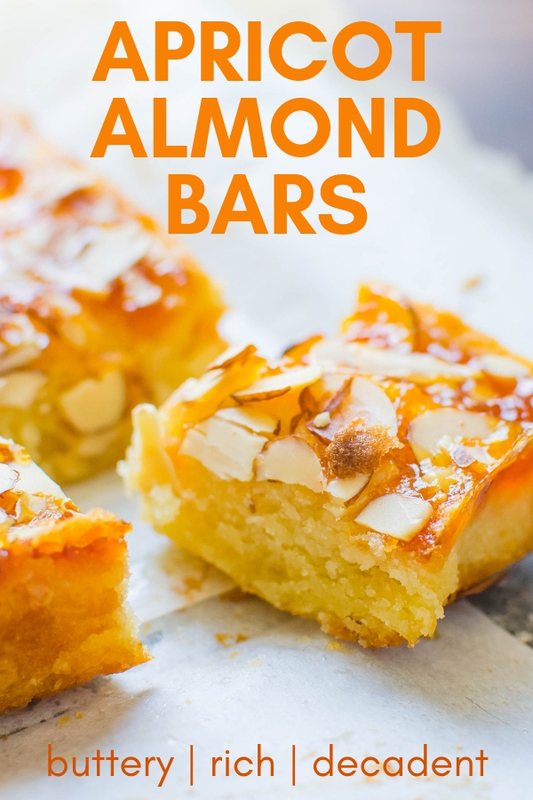 These apricot almond bars are the richest, most satisfying dessert I’ve made since those deep, fudgy fluffer nutter brownies or those insanely addictive strawberry and apricot rugelach. I made these fruit and nut bars for Emily who was coming home for a visit – Yay! And when Emily’s home, it’s a sure bet that her buddy, Miranda, will be hanging around too. So, let’s be honest — I made these for both of the girls. 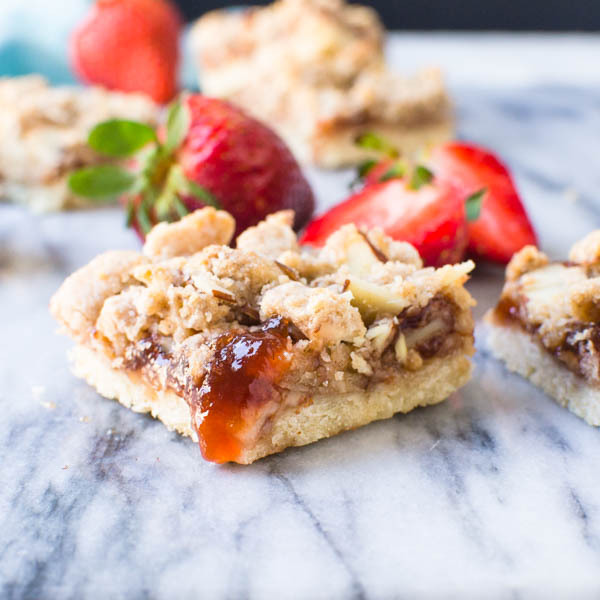 And if Scott and I could get our hands on one or two apricot bars, we would consider ourselves lucky, because they are so rich, moist and eyes-rolling-back-in-your-head GOOD! 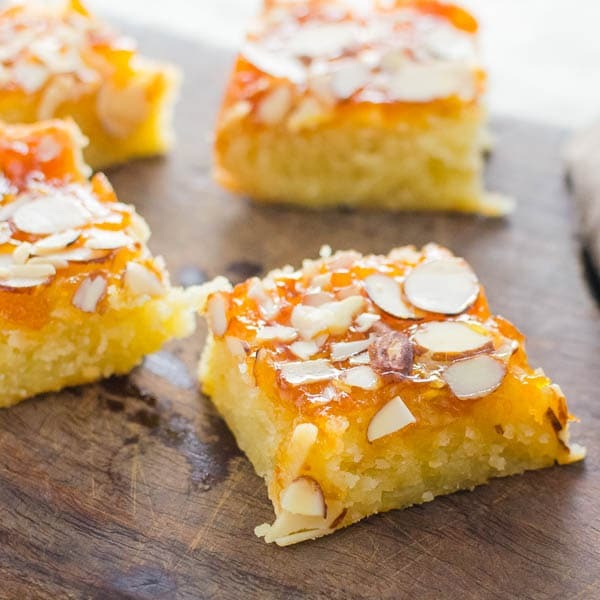 What makes these apricot almond bars so special, aside from the copious amount of butter, is the almond paste, whirred to oblivion in the food processor. 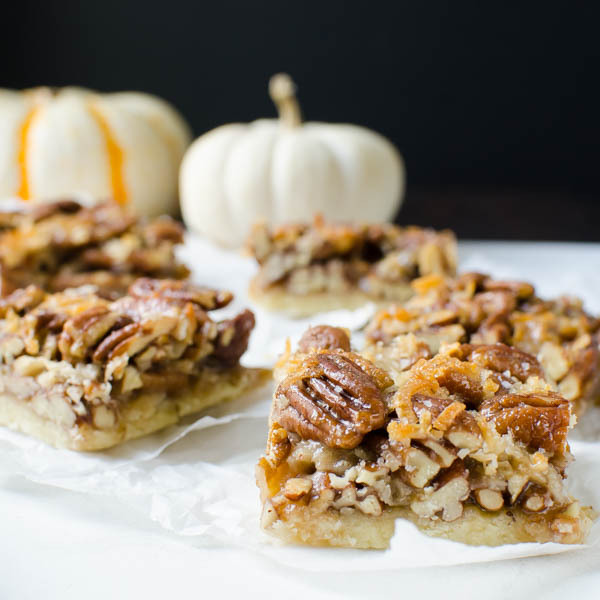 It permeates the soft, cake-like apricot bars with a light hint of almond flavor that plays very nicely with the rich, buttery base. Since I was already using the Cuisinart to grind the almond paste, I decided to use it to blend the rest of the batter to save on dishes. It worked beautifully, just be careful not to over process the batter once you add the dry ingredients. Of course bar cookies require a topping. 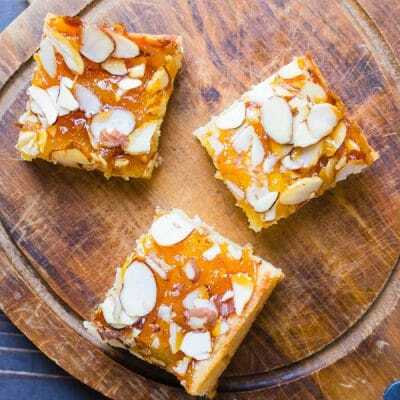 This simple combination of apricot preserves and sliced almonds may seem pretty bare bones, but believe me, they add just the right tang and crunch to the moist, buttery, apricot almond bars. Both girls really loved these little nuggets of yum – and Scott and I managed to squirrel away a few apricot bars for ourselves – so all in all, I’d call it a success! 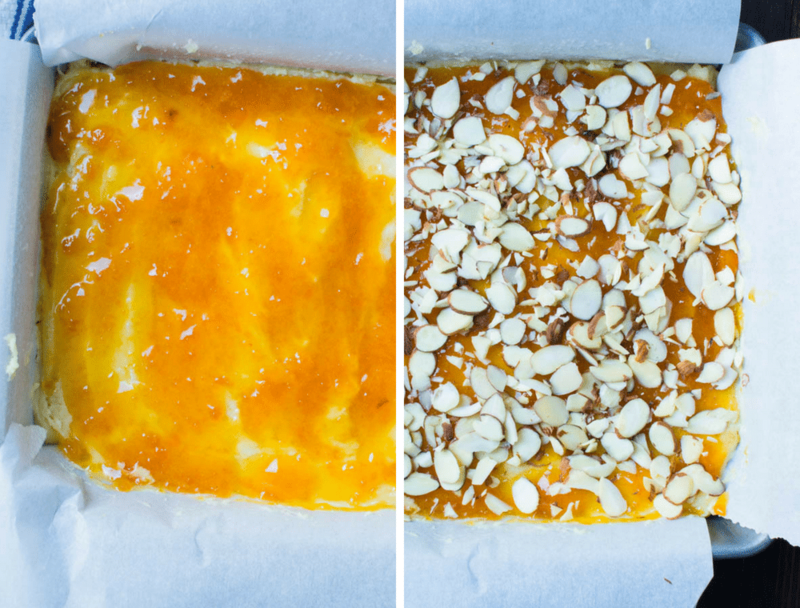 Do yourself a favor and make these apricot almond bars a priority this weekend. I promise, you won’t regret it. 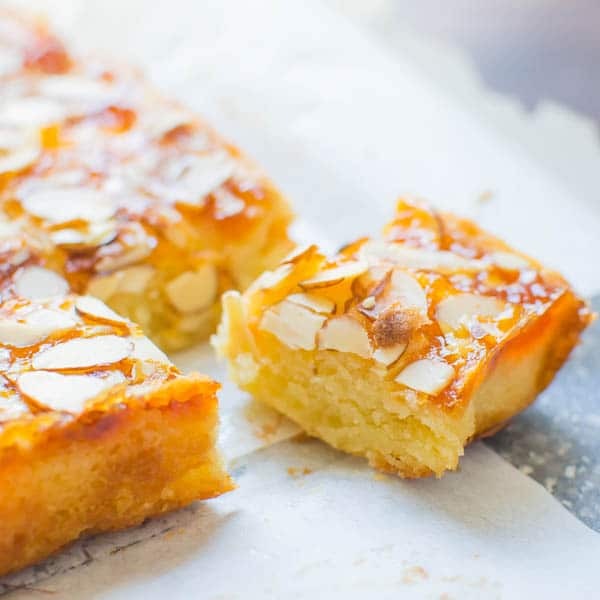 A buttery, rich almond shortbread with a hint of tangy apricot and crunchy toasted almonds. Preheat the oven to 350°. Line an 8" square baking pan with parchment paper, leaving about 2"-3" of overhang on either side. Spray lightly with vegetable spray and set aside. In a food processor (not a mini prep), add the almond paste and pulse until the paste is reduced to crumbs. Add the salt and sugar and pulse until well combined. Add the butter and pulse until combined, then add the egg and process until smooth. Add the almond extract and the flour and pulse until well combined. Spread the batter evenly in the bottom of the pan. 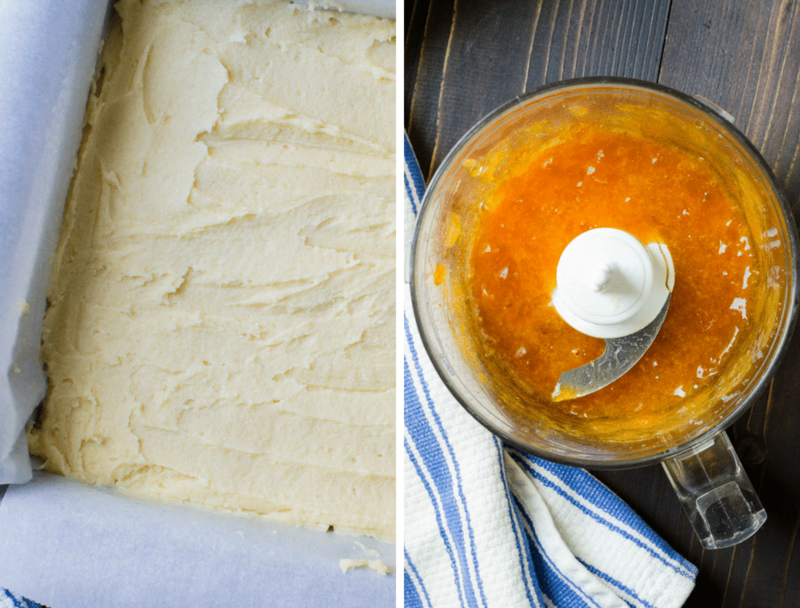 If the apricot preserves are chunky, place them in a mini prep food processor and pulse several times until smooth. Spread the apricot preserves evenly over the batter. Sprinkle preserves with almonds. Bake for 35-40 minutes, until almonds are browned and cookie base is set. Remove from oven and cool for an hour. Grasp the parchment paper to lift the bar cookie out of the pan and set on a cutting board. Use a sharp knife to cut into 16 equal squares. “Pin” Apricot Almond Bars For Later! These were outstanding and so easy to make! They taste like something you’d find in a French patisserie. Thanks for a great recipe! I’m so glad you liked these bars — they’re very rich and indulgent, but oh so worth it!! Found your recipe on foodgawker. I want make them because I love marzipan ! Can I substitute almond flour fir the all purposr flour to increase the almondy component?? I’ve never used almond flour in this recipe before, but I think it would work. If it does, let me know! Absolutely delicious beyond description! Tastes like food for the gods! You may want to edit the directions to include adding the butter though. 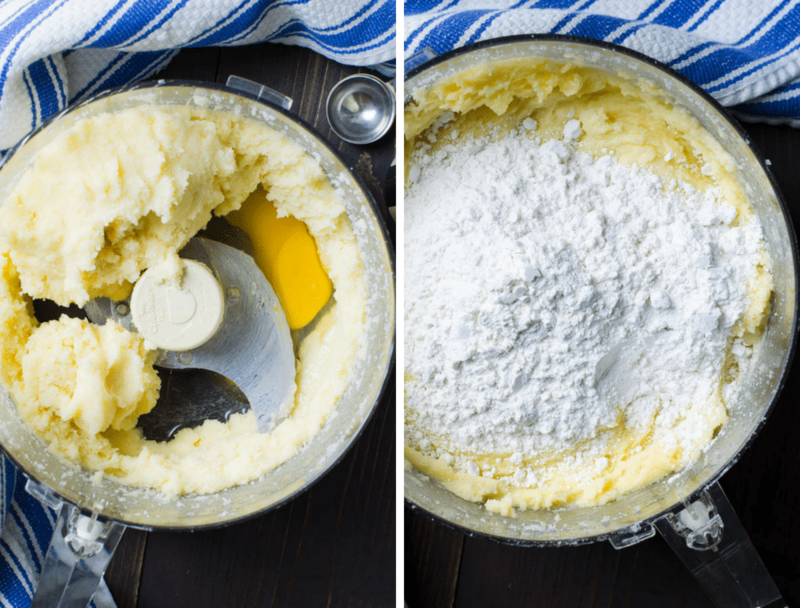 It is shown in the photos and listed in the ingredients; however, in following the directions step-by-step, I got all the way to spreading the batter in the pan and realized I hadn’t yet added the butter! I did add it at that point – not sure how that may have affected the end product. I can’t imagine how they could’ve been any better! 🙂 Thanks. 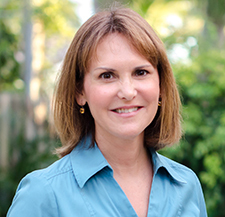 Thanks for pointing it out, LuAnn! I’ve amended the recipe. And yes – they are delicious aren’t they? I love the look and sound of these little beauties, I can tell how deliciously buttery they are from the photos! YUM! Thanks, Nicole! — they are definitely buttery – my family LOVES them! Almond and apricots! Love this flavor combination! as my daughter would say #DoesntSuck! So happy you like them! They are one of our favorites! These look amazing! I love this recipe! These look absolutely fantastic! We are loving shortbread any time of year, so gotta try this!! These are like shortbread in the amount of butter, but the “shortbread” is really more cake-like! These look delicious! What an awesome idea. Can’t wait to make it. Glad you like it Theresa! Wow look at that glaze! These almond bars are calling my name I need some now!! They are so good, you won’t want to share! Really beautiful! love apricots preserve on baked goods, pinned! What a treat these look like. And easy to whip up too. Thanks for the excellent recipe! 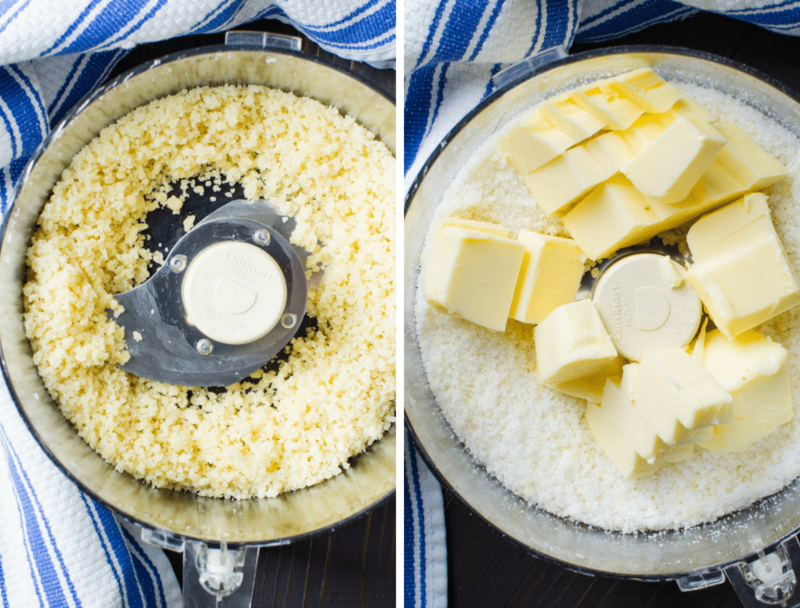 Very simple to make – thanks to the food processor! I just love layer bars. These look so good. i like the texture you got. The cookie layer borders more on a cake — and they are buttery beyond belief! I love how you added the almond topping. It looks so good! Katrina – they are so decadent!